Bruce played this song 1 time along with Bob Dylan, guesting Tom Petty & The Heartbreakers and covered these two songs : Travelin’ band and I’m crying. "I'm Crying" is a song originally performed by The Animals, written by the group's lead vocalist Eric Burdon and organist Alan Price. The song was released as a single in September 1964. "For some, the Animals were just another one the really good beat groups that came of the Sixties," Bruce Springsteen said at his 2012 keynote speech at South By Southwest. "But to me, the Animals were a revelation. The first records with full blown class consciousness that I had ever heard. " The passionate vocals and organ-heavy sound of the Animals was a huge influence on Springsteen as a young songwriter and he fully admits he stole the chords of "Don't Let Me Be Misunderstood" for "Badlands." 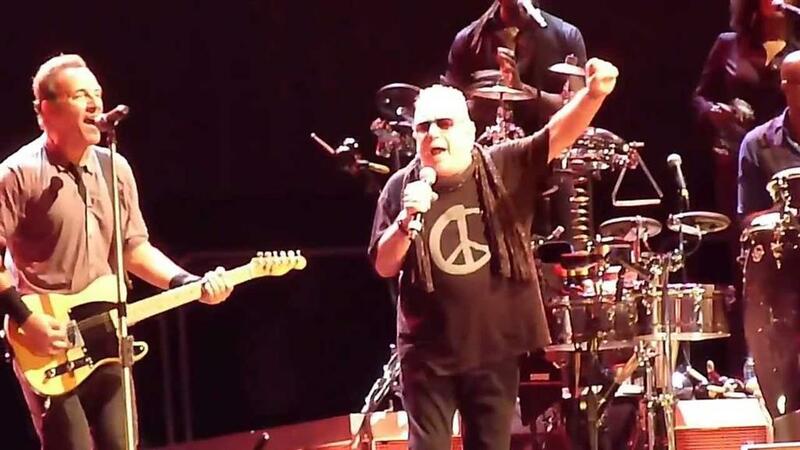 Bruce met The Animals frontman Eric Burdon when he joined the E Street Band in 2013.